U.S. Marine aviators to Malaysian MiG pilots: Show us what you got. Nearly three miles above the turquoise waters of the South China Sea last July, U.S. Marine Lieutenant Colonel Dan Shipley eyed the dim outline of a fast-approaching Mikoyan-Gurevich MiG-29 Fulcrum. Flying with the Royal Malaysian Air Force on a training mission, Shipley had been tracking the MiG by radar from the cockpit of his Boeing F/A-18D Hornet. While Shipley and Captain Justin Archibald, the Hor-net’s weapons and sensors officer, could have tried to simulate firing an air-to-air missile at the MiG from a distance, the war game required that the two confirm with their eyes that the MiG really was a MiG, and not a friendly military aircraft or an unarmed civilian airplane. 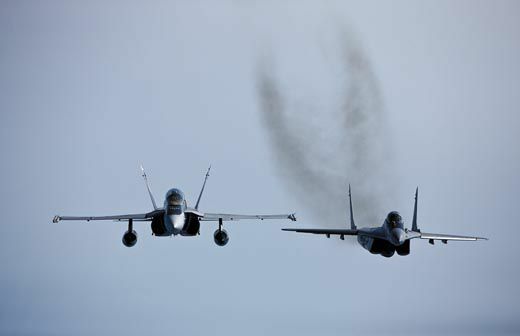 The Hornet and MiG rocketed past each other at a combined velocity of nearly 1,000 mph, granting each side a clear, albeit fleeting, view of the opposing jet. Both fighter pilots banked hard, each trying to maneuver into position first and stay there long enough to make the other one fall victim to an air-to-air missile or a volley of cannon rounds. The MiG went nose-high, its pilot relying on the Fulcrum’s superior thrust-to-weight ratio to vertically outrun the Hornet. Anticipating this, Shipley had pulled the Hornet’s nose up and torqued the jet inside the trajectory of the MiG, a maneuver generating 6.8 Gs. 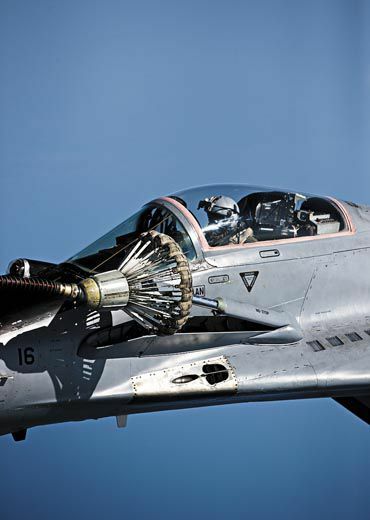 Fifteen seconds and two high-G turns later, with the tail of the MiG directly ahead and the distinctive squeal in his headset telling him the infrared seeker in one of the Hornet’s missiles had a lock, Shipley squeezed a red trigger on his control stick, sending a signal to fire. Forty-five seconds into the engagement, the Hornet’s mission computer confirmed a simulated kill. Later that day, Shipley and Archibald met up with the MiG pilot, Major Ahmad Khusairi bin Ahmad Fadli, in an air-conditioned briefing room at Malaysia’s Kuantan Air Base, about 150 miles east of Kuala Lumpur. While the three aviators discussed the day’s mission and analyzed data from the two aircraft’s computers, the F/A-18 and the single-seat MiG-29 were prepped for the next day’s training flight. 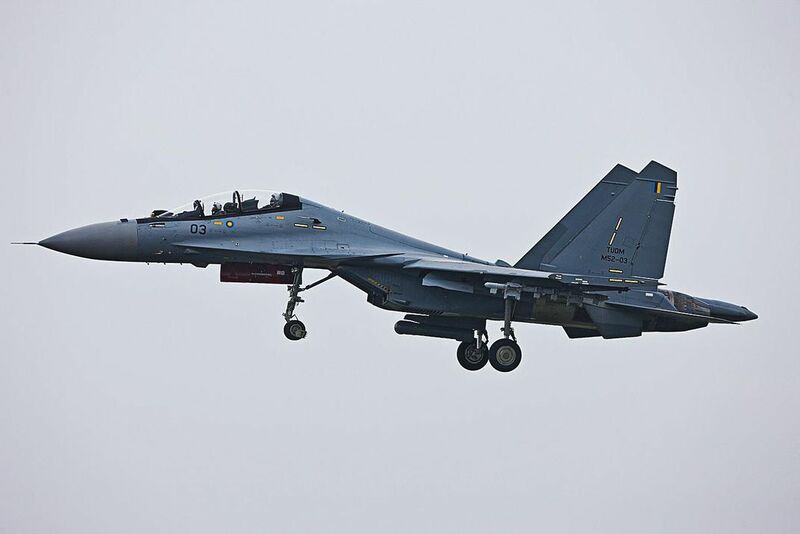 For three weeks each summer, in an exercise known as Air Warrior, the aviators of a Marine Corps Hornet squadron duel with the fighter pilots of the Royal Malaysian Air Force, the only MiG-equipped foreign air force that Marine aviators train with overseas on an annual basis. 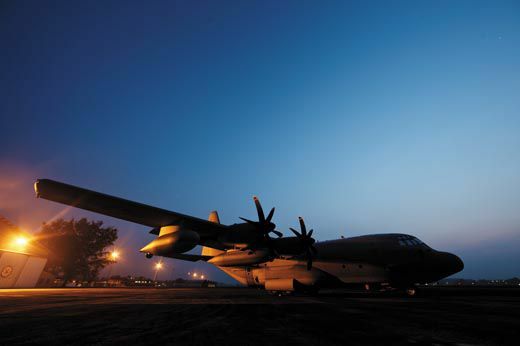 Accompanying the Hornets to Kuantan Air Base are elements of a C-130J Super Hercules transport and inflight refueling squadron, part of an air controller squadron, and logistics support personnel. 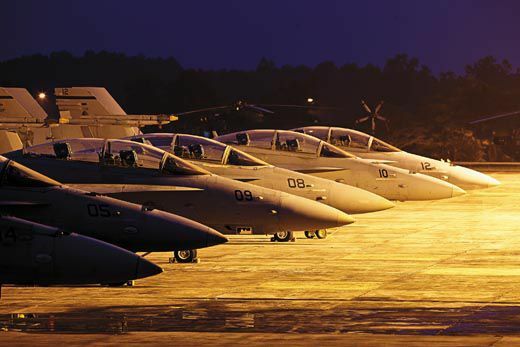 Each year a different Hornet fighter squadron arrives in Malaysia for the exercise; last year, Marine Fighter Attack Squadron (All Weather) 225, based at Marine Corps Air Station Miramar near San Diego, California, was chosen to participate. 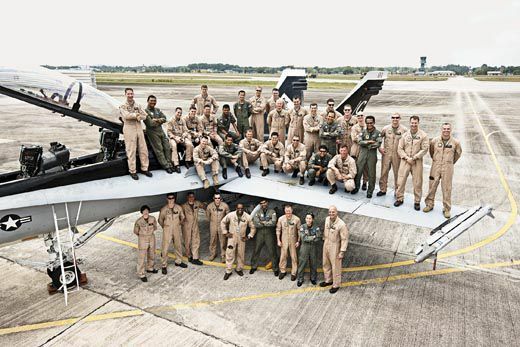 The U.S. aviators come to Kuantan realizing that because they fly more often than the Malaysians, they are more seasoned, particularly since almost all have actual combat experience. 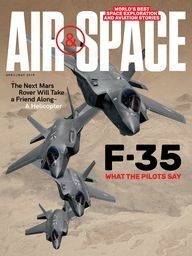 But Air Warrior focuses on air superiority sorties, which the Marine pilots have typically flown only against other U.S. aviators and aircraft. “I’ve trained against Air Force F-16s, F-15s, even the F-22 Raptor, but this is the first time with the Fulcrum,” says Shipley, the executive officer of 225 and a former Blue Angels demonstration pilot. “It is just a phenomenal experience for us to see how a MiG actually performs.” The experience might one day be critical for U.S. pilots, given that the MiG-29 is flown by various U.S. adversaries, including Syria, Iran, Cuba, and North Korea. Air Warrior, however, is far more than a tactical exercise involving the forces of two friendly nations. The South China Sea is a region where the United States might engage an enemy in a future conflict, so it pays for the military to build allies there—the facet of Air Warrior that will pay the biggest long-term dividends. “By deploying to Malaysia, operating there, and then redeploying there, year after year, we’re not only honing our skill-sets used in that particular exercise, but building and bolstering our relationships in that part of the world,” says Lieutenant Colonel Rob Scott, chief of the future operations group at the Pentagon’s Plans, Policies, and Operations Department for the Marine Corps. 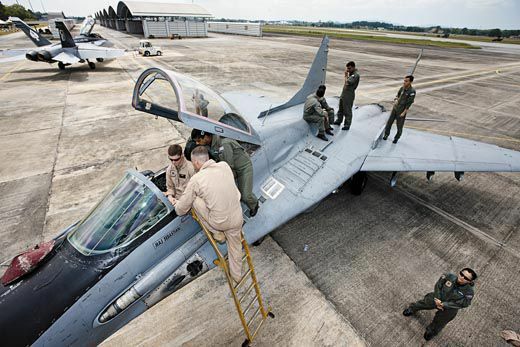 The U.S. ground crews assigned to Air Warrior must prepare for a challenging tour of duty at Kuantan Air Base. Because there were no hangars available to the U.S. maintenance crews, they had to work outside in oppressive heat and humidity. 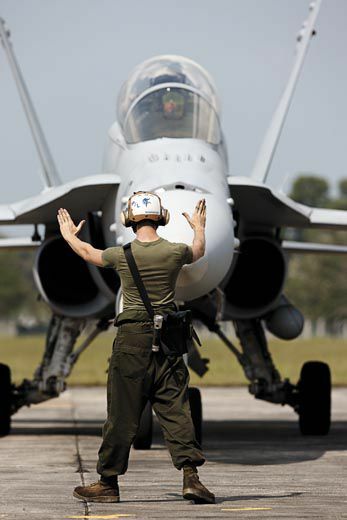 Each day began early, with the maintenance teams wiping thick beads of dew from the Hornets’ canopies. 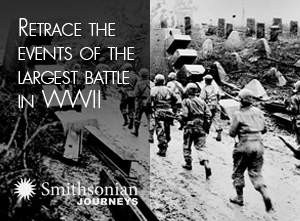 By 9:30 each morning on the flightline, every crew member’s olive drab T-shirt was soaked with sweat. By noon, the pounding sun had driven all but a few crew members into the shade. “One of the things the staff had to look out for was to make sure the maintainers didn’t become heat casualties—that they constantly were drinking water,” says Sergeant Major Ron Halcovich. “The maintainers, once they get working, will forget about everything else that is going on around them.” Fortunately, during the three weeks of Air Warrior, there were no heat casualties. “This is comparatively an austere environment,” says Major Peter McArdle, 225’s maintenance officer. “It is more austere than Iraq, for instance, in terms of services available and conditions.” McArdle explains that air bases in Iraq, such as Al Asad, which is controlled by U.S. forces, are essentially kept to the same standards as those in the States. “Training in an austere environment is good for the Marines to learn how to operate with limited parts support, limited ground support, smaller ramp space than they’re used to,” says McArdle. One of the greatest hazards for the Hornets during Air Warrior came from a virtually invisible source: FOD—foreign object debris. A close inspection of the Kuantan flightline reveals chunks of broken concrete every few feet. Most of the pieces are pebble size, but even a paper clip, if sucked into an intake, can destroy the turbine blades of a Hornet’s engines, grounding the craft. Each day of Air Warrior, the Marines spent time doing “FOD sweeps,” shoulder-to-shoulder walks to scan the pavement for debris.